RHA T10i Review: Bassy or V-Shaped? 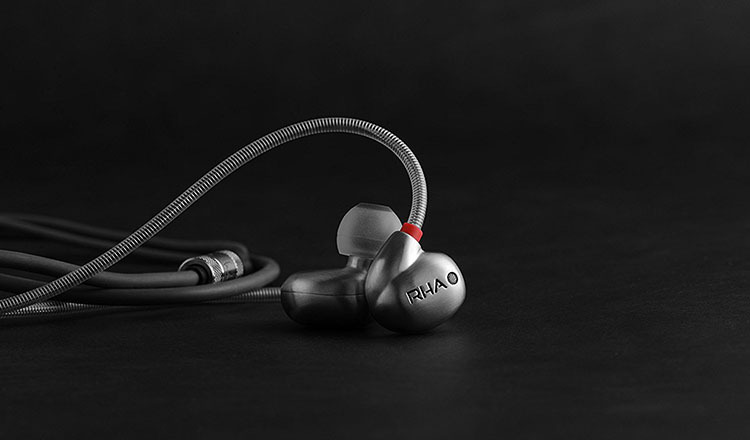 Beautifully crafted, durable, and hard-hitting in-ear headphones from RHA. With a stainless steel earbud design and frequency tuning filters (sound quality change), these headphones deliver a lot of value at a price point under $200. The T10i are especially suited for bassheads or anyone who likes V-shaped sound with the added option of sound customization. When opening the box, the first thing you might notice is the impressive array of ear tips provided. The RHA T10i in-ear headphones offer a lot of customization, including with ear tips. The various ear tip sizes and materials will allow you to get the right balance of comfort and fit. They fit in the ear canal easily due to their ergonomic design. There are six pairs of single flange (dual density) ear tips. These ear tips feature a softer outer material and a firmer inner construction that helps maintain a tight seal. Two pairs of double flange silicone ear tips and two pairs of memory foam tips are also provided. 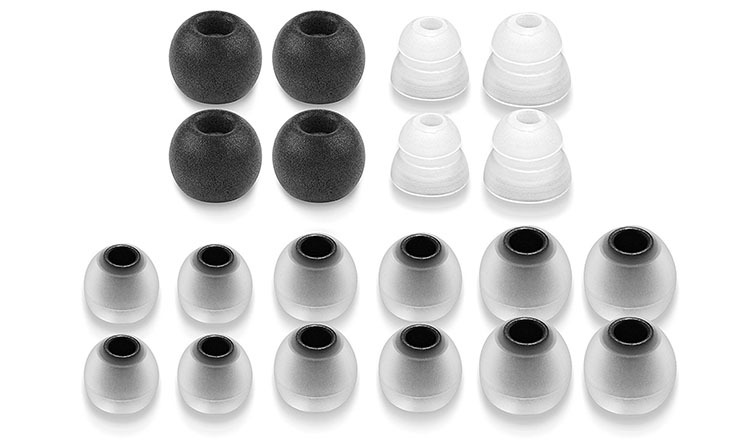 For maximum noise isolation and better audio quality use the memory foam eartips. You’ll notice the difference. These earphones are designed to be worn with the cable going over the ear. You’ll definitely want to wear them this way because they are somewhat heavy. At 1.45 ounces (41 grams), these stainless steel earbuds are some of the heaviest on this list. Thankfully, that’s not a big problem. In spite of the extra weight, the RHA T10i earbuds are surprisingly comfortable to wear, and the earbud case design fits easily in the ear. It might feel a bit weird in the beginning if you’re used to lighter IEMs (in-ear monitors) but you get used to it very quickly. The only challenge to achieving a good fit with the RHA T10i earbuds is when trying to work out. Even with the moldable ear hooks, the earbuds can lose their seal and fall out in active environments. 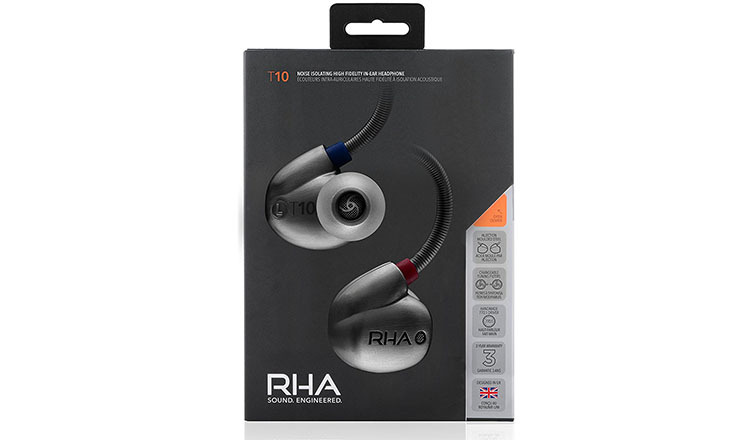 RHA T10i stainless steel earphones are built to last with great build quality. Each element of the design has been planned for durability. 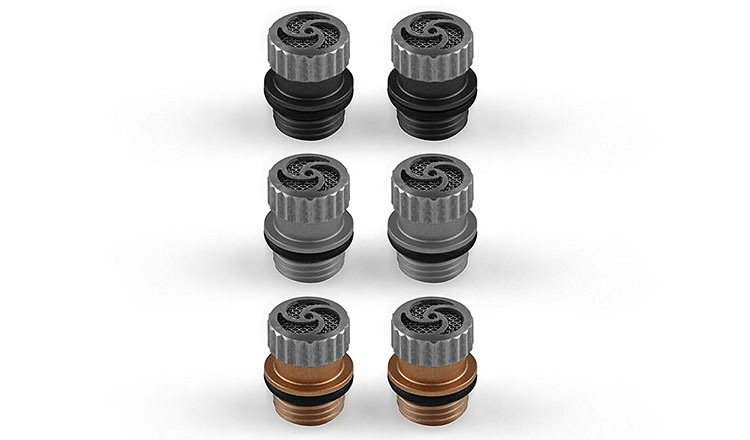 Even the interchangeable tuning filters securely screw into the earbud case. One minor issue is that the moldable ear hook portion of the cable can be bent too much and kinked. Just make sure to treat these as premium in-ear monitors and they’ll last very long. The T10i model features a 3-button in-line remote and microphone that is compatible with Apple mobile devices and Android devices. You can also get the model without the in-line remote and buttons but the price is the same. Moreover, the in-line microphone works well enough for calls and most people won’t know you’re using headphones. The 3-button remote is easy enough to use once you learn all the combinations. It’s well put together and won’t disintegrate too easily. RHA provides a 3-year warranty on these robust earbuds. 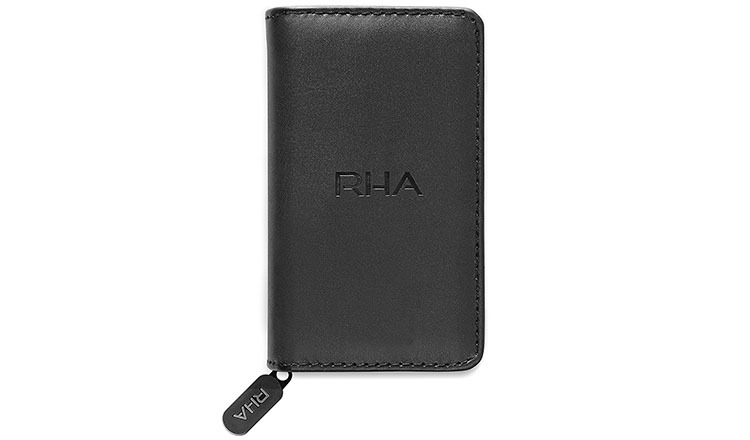 3 years is a long time so you can be sure RHA thinks these are very durable. General sound signature depends on the filter that you use. With the bass filter (black color) you get very deep bass in an obvious bassy audio signature. If you change to the “reference filter” the sound resembles a V-shaped signature. The “treble filter” subdues the bass even further while enhancing highs. Though, you still get a somewhat colored sound. These aren’t for those who want a flat response. RHA uses their 770.1 dynamic driver design. This type of driver requires the earbud case to be larger than models using balanced armature drivers, but the bass response is better. In fact, if you are a basshead, you will be very happy with the amount and power of the lows you will get. 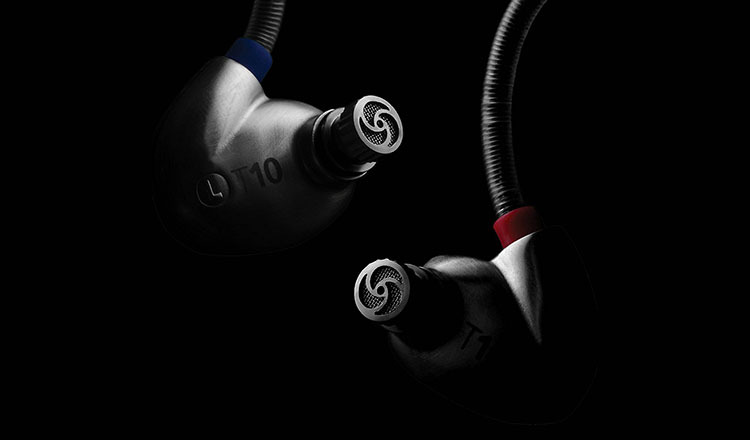 The T10i are, without a doubt, one of the best basshead earbuds. Bass frequencies have good power and focus, with low-mids getting the biggest boost. In case you dislike overpowering bass, you might want to use the treble tuning filter to enhance the high-frequency range. The bass becomes more subdued so other ranges become more prominent. Mids are warm and rich but can seem a bit subdued or held back when compared to the powerful bass tones. Many listeners will find that using the included tuning filters can help achieve the particular sound signature they want. Though, expect a colored sound quality that’s geared more towards an emphasis on bass and treble. Overall, they produce entry-level audiophile sound with a V-shaped sound signature that can become great basshead sound with the change of the filter. While the heavier stainless steel design may not be suitable for sports, RHA T10i earbuds offer powerful and fun sound in a very durable package that’s surprisingly comfortable as well. Bassheads rejoice!